American Airlines may have just thrown your holiday travel plans into chaos. The carrier is dealing with the aftermath of a massive scheduling error that accidentally granted vacation time to too many pilots during the holiday period, causing widespread staff shortages on thousands of forthcoming flights. 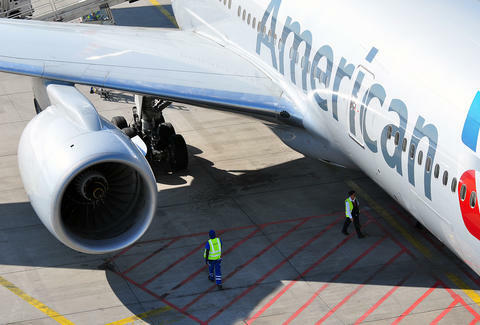 The Allied Pilots Association, the union representing AA employees, confirmed the news in a statement but was mum on the specific number of flights affected so far, writing: "thousands of flights currently do not have pilots assigned to fly them during the upcoming critical holiday period." Originally, the airline's computer system showed ample personnel were available to work on holiday flights. In reality, that wasn't the case. According to a Chicago Tribune report, some of the affected flights are scheduled "without a captain, first officer, or both," and originate out of various cities including Boston, Miami, New York, Philadelphia, Salt Lake City, and Charlotte. Dallas-Fort Worth International, the country's biggest airline hub, is also effected but to an unknown extent. To amend the potential damage of what would be a catastrophic holiday window for American, the carrier is offering pilots 150% of their normal hourly wages to work during their allotted vacation time. However, the APA alleged the solution is a violation of the pilot's union contract. "Because management unilaterally created their solution in violation of the contract," the APA wrote, "neither APA nor the contract can guarantee the promised payment of the premium being offered." As far as reaching an agreement is concerned, APA spokesperson Dennis Tajer told theTribune that the situation isn't easy. The union would like to collaborate with the airline on finding an effective solution that both parties can agree on. The current proposal was made without APA involvement and doesn't motivate pilots who've already spent years working over the holidays, per the report. "This is a crisis right now, and in that crisis, they've gone solo," Tajer told the paper. As the situation unfolds, one thing is plainly clear: holiday travel plans across the country are hanging in the balance.